Martin Schanze – Senior Sessions Leader | Jack B. Keenan Inc.
Martin Schanze brings more than 30 years of experience in sales, sales management, marketing, training and facilitation experience to JBK. After his studies of Biomedical Engineering at the THM University of Applied Science in Giessen, Germany, Martin directly started his sales career in 1983 as sales engineer for the US based Instrumentation Laboratories, responsible for selling intensive care and laboratory instruments to hospitals and medical practitioners in his sales area in Germany. After this first assignment, he was use to work as a Service Marketing Manager in the headquarters of Behringwerke AG in Marburg, Germany, a globally positioned pharmaceutical company, belonging to the former Hoechst AG. In this position, he gathered first training experience, responsible for the qualification of the diagnostics instrumentation service engineers globally. In 1987, he decided to take over the management of the medical team of 6 – 8 service engineers at DEKRA, an internationally engaged advisory and certification association in Essen, Germany. In October 1989, Martin started his career with Hewlett-Packard in the HP’s medical division. As Project Manager health care information systems (HIS), he was responsible for the successful design, proposal and implementation of IT projects in hospitals in Germany. In the early 1990’s, he returned into the direct sales responsibility for HIS as an Account Manager for the western part of Germany. In 1994 Martin became the Sales Manager for Health Care Information System (HIS) in HP`s Medical Division covering Germany, with a team of up to 10 Account Managers. In 1997 – after HP Medical‘s withdrawal from HIS – Martin became the Account Manager for the Daimler-Benz IT Services arm debis IT Services. After the merger of debis IT Services with Deutsche Telekom in 1999, Martin was appointed as Global Account Manager of the newly built T-Systems AG, the IT services provider of the Deutsche Telekom AG. In 2001, Martin became the Client Business Manager EMEA for DaimlerChrylser. In 2003, he joined the IBM in Germany as a Sales Executive for the communications sector, serving named accounts in the telecom-, utilities- and media-industries in Germany. In this role, he coached and consulted account teams in strategic opportunities throughout the sales process. From 2006, Martin became the responsibility as sales lead for the market leading health insurance companies in Germany. Together with a team of four Account Managers, he focused on developing and executing strategic sales opportunities in Germany. In 2009, he was appointed as Business Development Manager and Industry Leader for Health Insurance industry. From 2010 until 2015, Martin joined the IBM Global Business Services Organization as Managing Consultant for Change Management. In this role, he combined his leadership skills and customer insights, serving customers in transformational situations as Change Management business lead and Strategy Consultant. 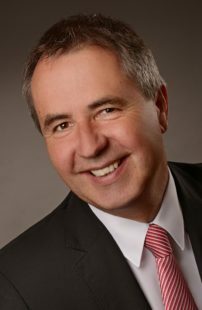 Since July 2015, Martin Schanze has been working as an independent consultant with a special focus on sales of complex solutions – sales organization analysis, sales processes and methodologies, big deal coaching and trainings – as well as to facilitate organizations in transformational situations as change management consultant and leadership coach. Martin is a certified Business Coach and member of the German coaching society “Deutscher Coaching Verband” DCV e.V. and beside this, he is educated Business Mediator at the German “Industrie und Handelskammer” IHK.